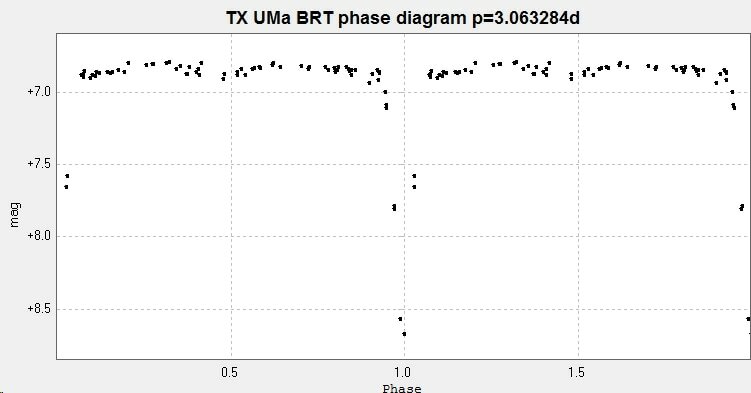 Primary minimum of the EA type eclipsing binary TX Ursae Majoris. Taken from 534 unfiltered images taken with the 2" Titan on 2016 12 21. 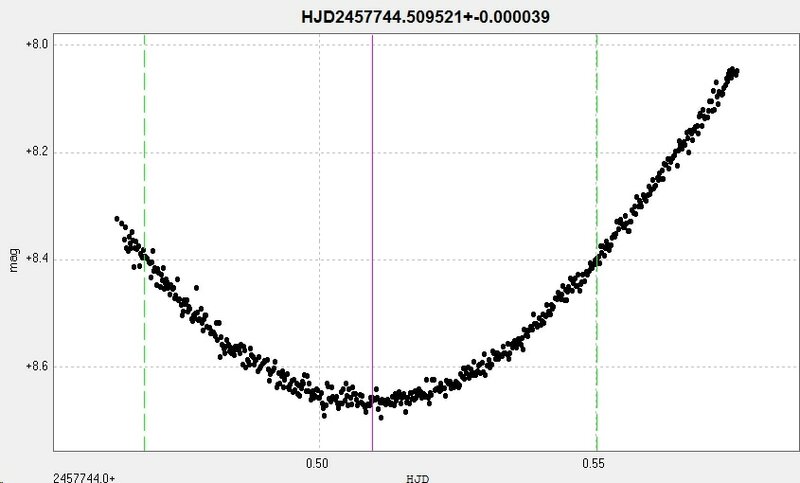 The corresponding HJD time of minimum was HJD2457744.509521 +/- 0.000039d. 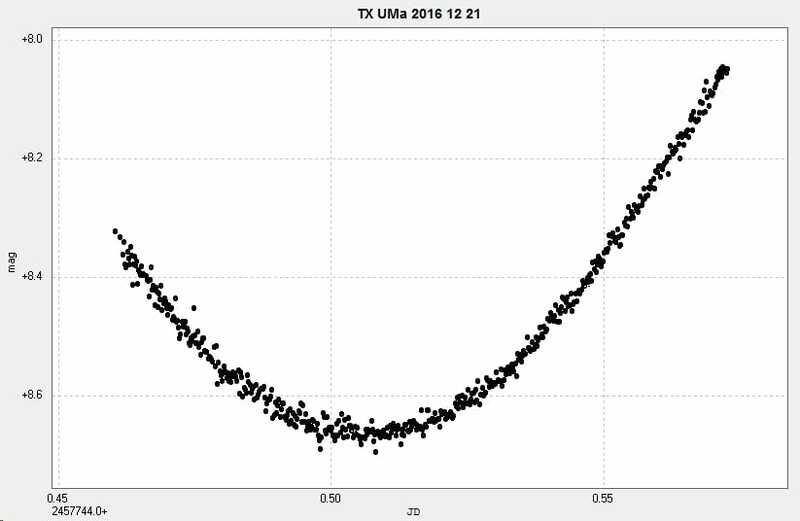 The following light curve and phase diagram were constructed from photometry of 72 images taken with the Bradford Robotic Telescope Cluster Camera between 2014 December 10 and 2016 January 11. These were through a tricolour green filter. 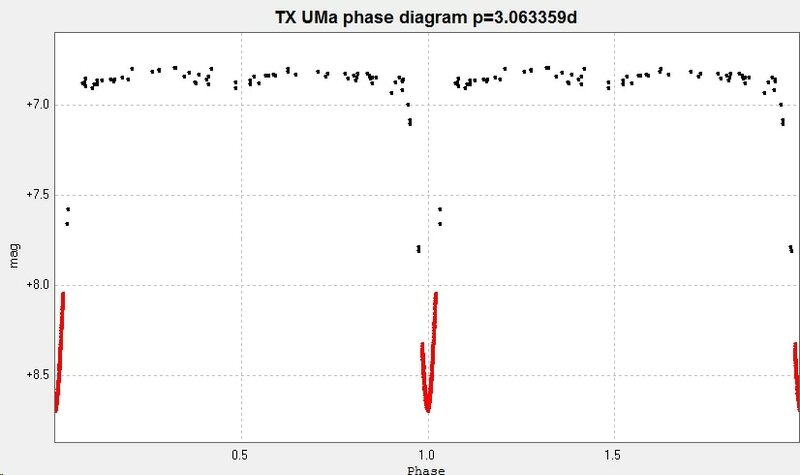 Combining the two sets of data generates the following light curve and phase diagram. 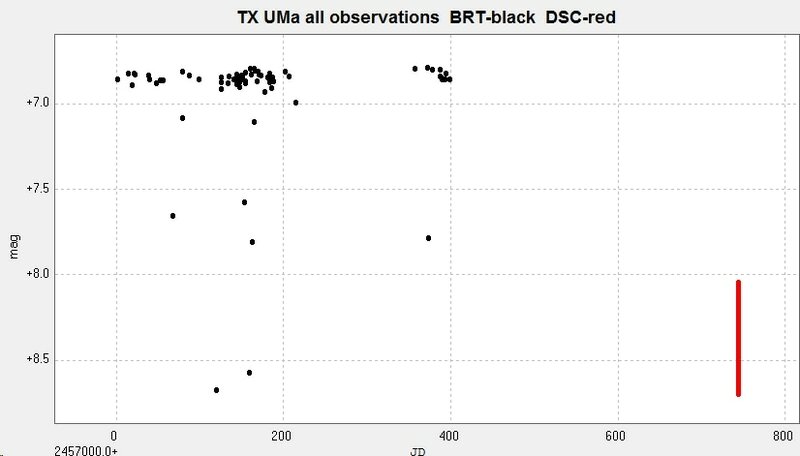 The Bradford Robotic Telescope observations are in black and the Somerby Observatory 2" Titan results are in red. 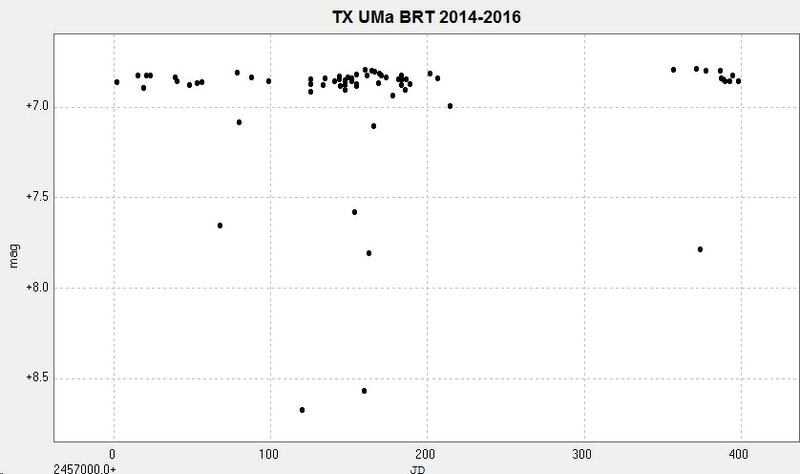 ​The value from the BRT data alone is 3.063284d while the combined results suggest 3.063359d is a better fit for the average period over the times the observations were made. The differences are probably the result of insufficient BRT data rather than significant changes over this time.